Maxxum Pty Ltd. Import. Distribution. Sourcing. Photo. Video. Accessories. Celly are one of the leading players in the mobile phone accessories market. From the Squiddy tripod to click lights, up your phone photography game today! XEEN produces professional video-cinema lenses. With feedback from professional directors of photography, XEEN lenses were created to deliver the quality demanded by commercial and artistic productions. A masterpiece of design and Samyang's expertise in optical engineering. Canvas and leather bags. Made tough. Got gear? Get Tenba. Premium quality bags to protect all you Photo and Video gear. 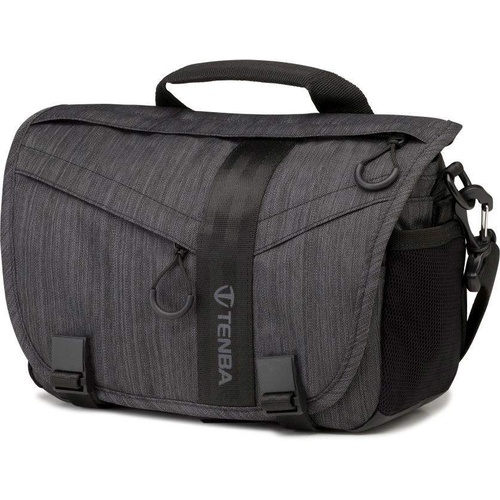 From messenger bags to suitcases Tenba has a bag for every item. Jupio products deliver true enhanced performance, long lasting battery life and tremendous value for money. Every Jupio battery offers a 3 year warranty and USB charging. Let's Go Find Adventure. And Capture Moments. Our products are designed and built to meet or exceed the needs and demands of professional photographers worldwide. With over 40 years of camera lens innovation and craftsmanship, we aim to provide a new generation of lenses that allows every photographer and videographer to share their unique perspective with the world. You can count on your MeFOTO to help you travel light, set up fast, have fun and help take your photography to the next level. Get Confident. Get Creative. Get that perfect edit with ease, with this Loupedeck console. Replace your keyboard & mouse with dedicated photo editing controls. 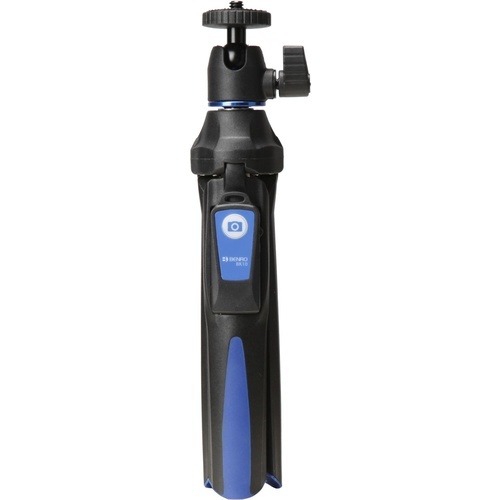 The new Benro Reddog R1 mirrorless handheld gimbal stabiliser. Innovative, flexible & beautifully made, start taking super stable shots today! 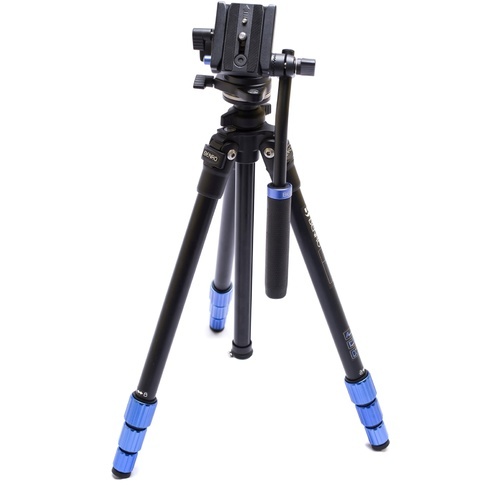 A lightweight aluminium tripod kit with plenty of advanced features, such as half turn twist leg locks, sliding Quick Release plate, 3 leg positions & bubble levels. It comes with an S2 Pan & Tilt video head & maximum payload of 2.5kg. A fitted case designed to fit a GoPro or action camera, with pick & pluck foam for extra protection. The DNA 8 Messenger Bag will fit a mirrorless or rangefinder camera with 2-3 lenses, plus an iPad Mini or similar tablet up to 8 inches (20 cm). A battery powered 5 x 5cm slide viewer. 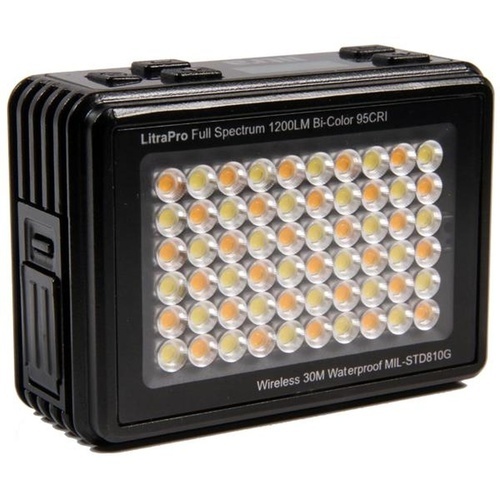 LitraPro is an ultra rugged, waterproof, bluetooth, compatible, fully dimmable, bi-color light. The must have light for studio, run and gun, underwater and any photo and video adventure your creativity and imagination takes you on. HUGE discounts on nearly 200 products! Includes selected Samyang & XEEN lenses, Benro, Tenba & more! Maxxum allows me to tell my stories and my clients through heavily influenced photography. Enough said. The service from these guys is impeccable, and their product range awesome. I’d highly recommend shopping with them! I couldn't have asked for more than this. Absolutely wonderful! 5 star service from industry experts. Thanks guys!